9' Aluminum Patio Umbrella with Auto Tilt and Crank System. 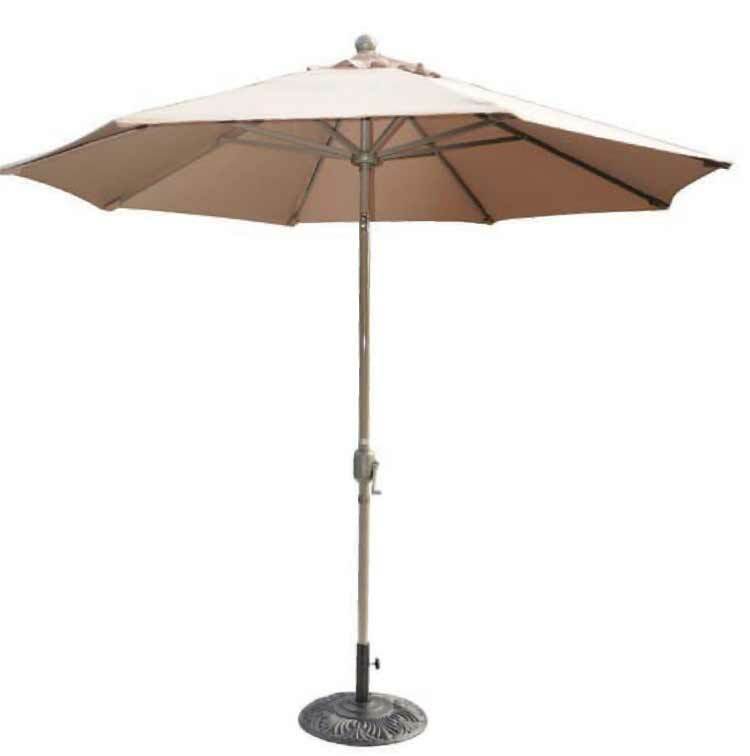 Brown Powder Coat with Polyester Top or 9' Aluminum Umbrella with Push Tilt and Crank System. Brown Powder Coat with Polyester Top. 5-Year Product Warranty.